Competition gallery and results table are now up to date with the December meeting competition. Can I wish a Happy Christmas and Merry New Year to all the visitors to our webiste. I hope you've enjoyed the antics we have been up to over the last year and I look forward to 2017! Competition gallery and results table are now up to date with the November meeting competition. During the meeting, Eric presented Alan P with a cheque for Jane Sleight for her charity parachute jump, with our thanks for the time she spend helping at Modelfest each year. Also we had our friends Wayne and David over from the States for Telford this year, so here is Eric and Pete presenting them with a bottle of somethign for them to enjoy during their modelling expoits when they get back home. It was great to see them again. Tank Mod, Tank Museum Bovingdon 8th October, its a good show but a long drive! 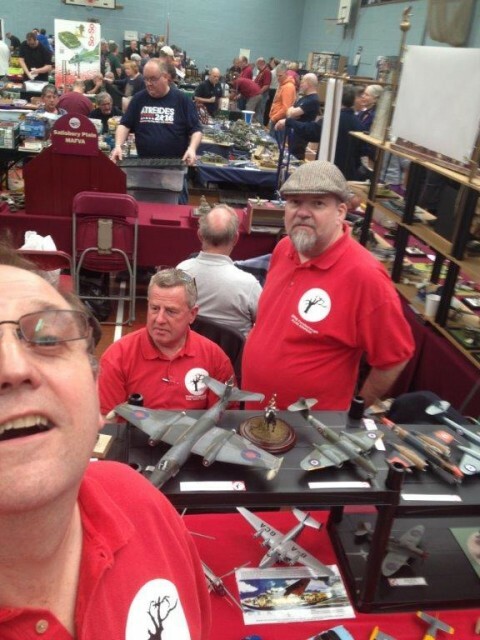 Please note that we will not be processing any new memberships or renewals after 24th October 2016 until Scale ModelWorld. We do this each year due to the sheer number of transactions that have to be processed in the run-up to Scale ModelWorld. Normal service will be resumed the week after Scale ModelWorld. If your membership is due to expire on 31st October and you are not already paying by Direct Debit, you have two weeks to get yourself sorted out! Similarly, if any of your mates or fellow club members want to join the Society, make sure they do something about it before 24th October." Modelfest has happened and was a great success! Excellent weather and a great buzz around the halls. Lots of visitors and everyone seemed to have a good time. Modelfest Exhibitors page updated with this years participants. 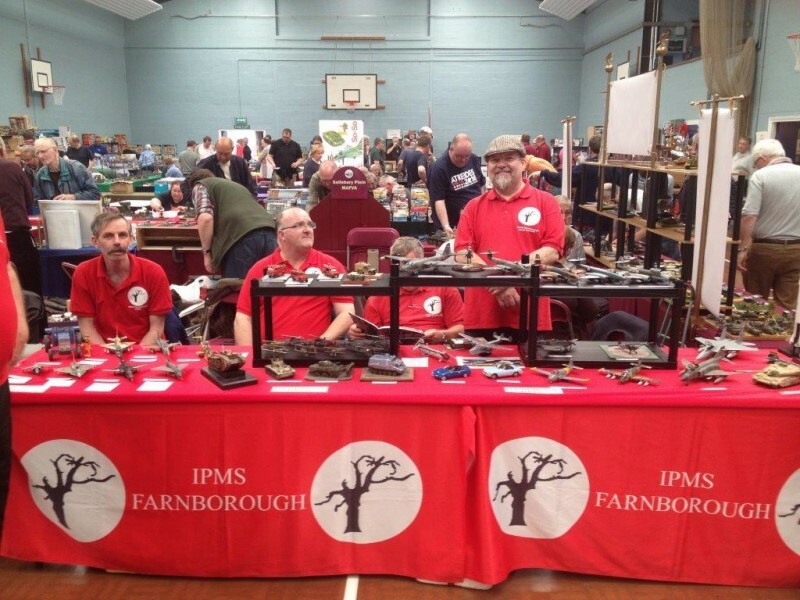 IPMS Romsey had their first show on 16th July. It was a small intimate show, with only about half a dozen clubs abd a few traders, but the atmospher was good and we get on well witht he Romsey folks ao in our considered opinion it was a success. RAF Odiham famailies day is a regular spot in our show calendar and the weather held fair for us on 21st July. We had many interested visitors with the parents supplying the "don't touch" manatra to the excited children! Competition gallery and results table are now up to date with the June meeting competition. Bill is obviously very impressed with Eric the "auteur"
Toby Knight stepped down from the role of Treasurer, and was replaced by Ian Williamson. The club gave thanks to Toby for his work in this role. It was also decided that the Committee should explore the idea of having a different form of meeting, at which there could be talks or demonstrations. 9th April was Poole Vikings show, some of the usual suspects showed up as nromal, inclusing Jim in his new Farnborough shirt! The show was good and a visit to two model shops in the town was the icing on the cake! 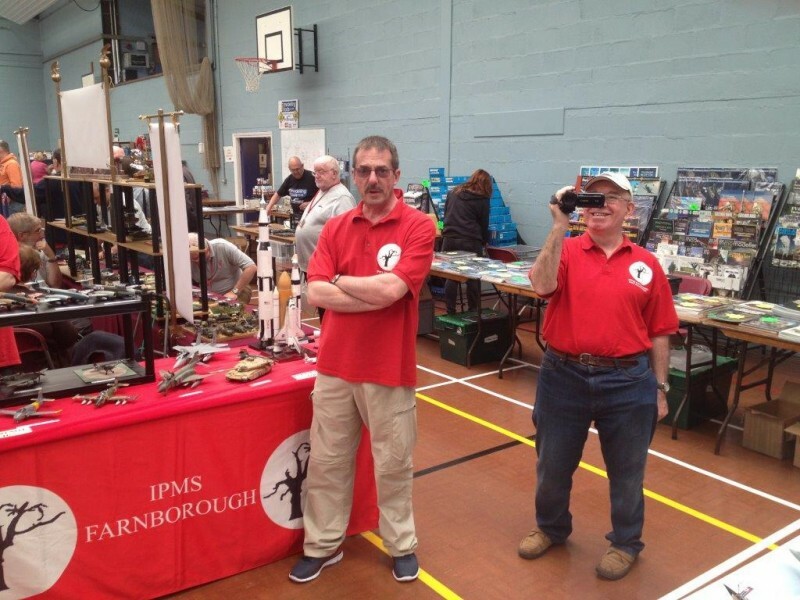 3rd of April saw us heading north to RAF Cosford for the IPMS Shropshire model show. We were in our now usual place just inside Hanger 2, opposite TSR 2. With no orange juice spills, but just one beer accident, the evening before went well. The show was up to its usual standard and the weather held, so it was possible to walk to Hanger 1 and not get blown backwards by the wind as last year! Diary updated with March member's trophy subject which is Science Fiction, Fantasy and Real Space, plus some other dates.